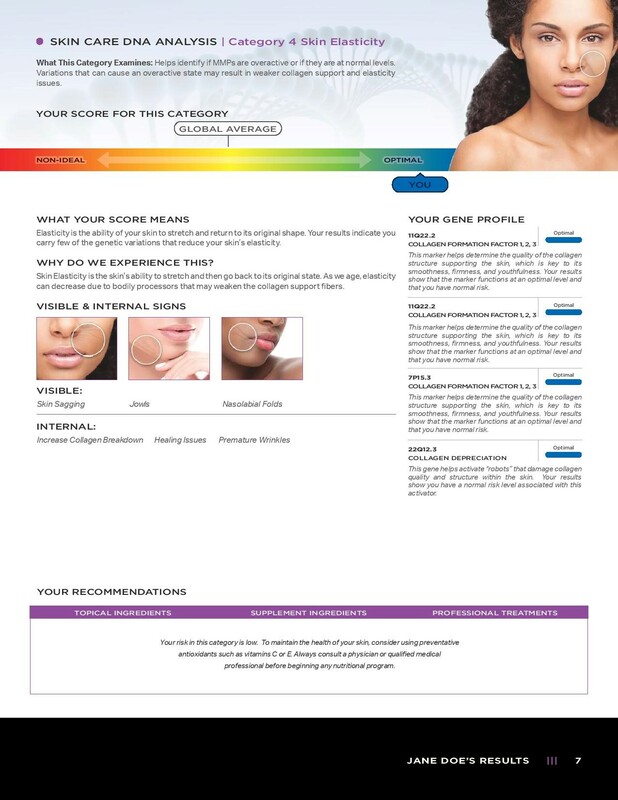 Our Skin Care DNA Test is designed specifically for people who want to know more about their skin and what they can do to improve it. 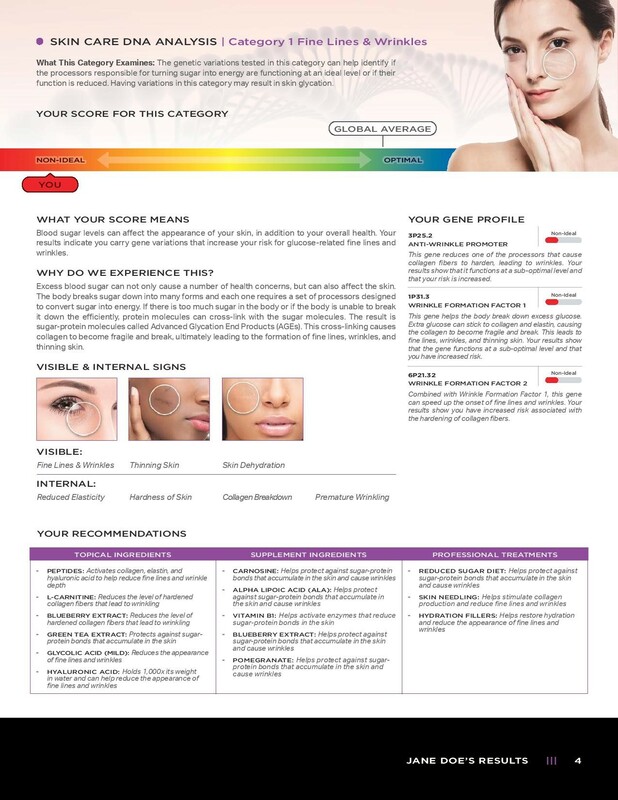 The choice of skin care products is now based on science and your unique DNA. 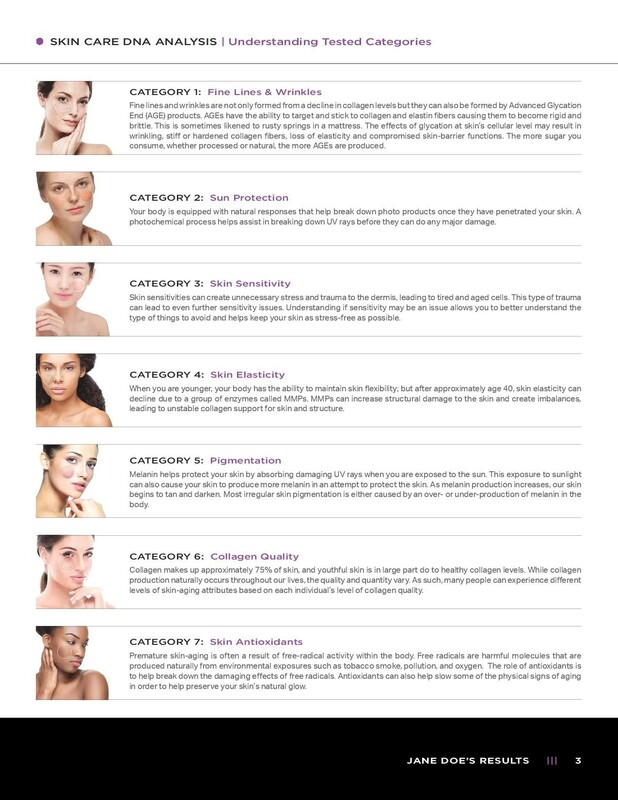 Every type of skin requires a specific type of care – at the most basic level, we talk about dry, oily or normal – but skin care is more than just dry, oily or normal and creams, masks or cleansers. 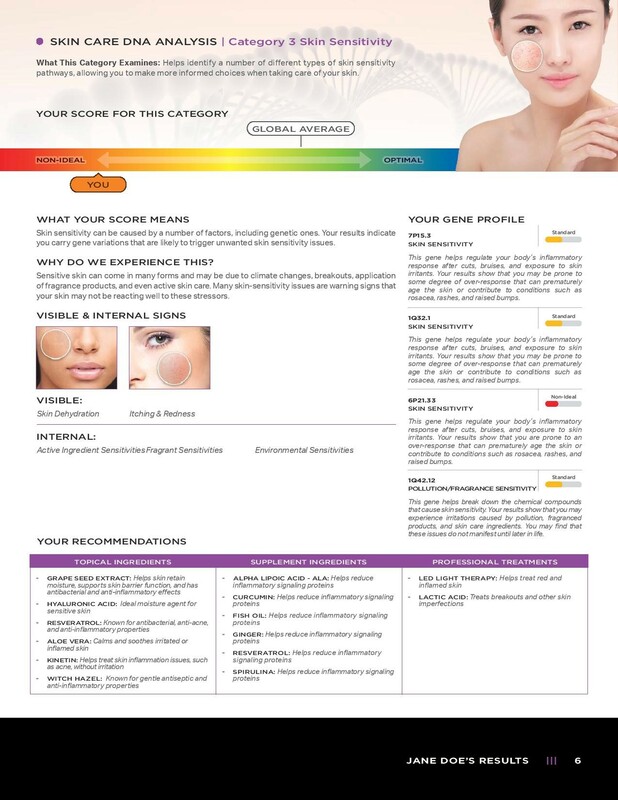 Slowing down the signs of ageing, pigmentation, preventing skin inflammation and striving towards healthier and more radiant skin can be improved with the help of a skin DNA test. 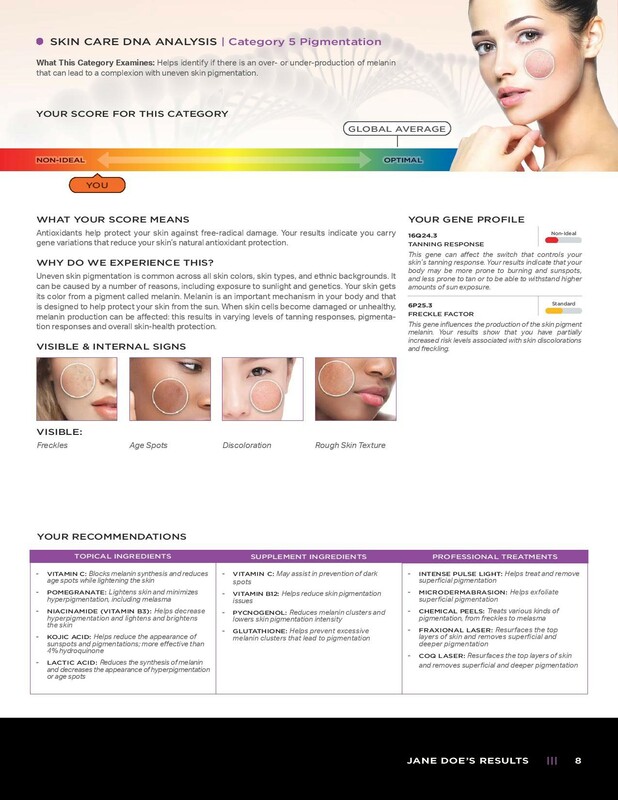 Our Skin Care DNA Test is designed specifically for people who want to know more about their skin and what they can do to improve it. 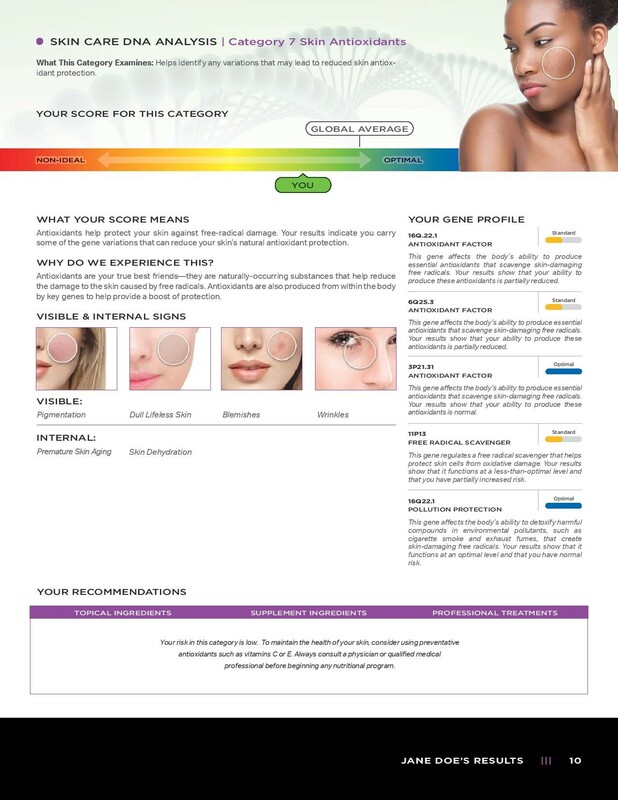 The choice of skin care products is now based on science and your unique DNA. Our quick and painless test is available today for £139. Our DNA sample collection kit is quick, easy and painless to use. The kits include mouth swabs, instructions and a pre-addressed envelope to send your samples back to us for testing. All you need to do is rub the swabs inside your cheek and under your tongue. Once you have collected the DNA samples all you must do is leave them to dry for about an hour. Next, you put the dried swab samples in the envelopes provided and send them back to us for laboratory analysis. 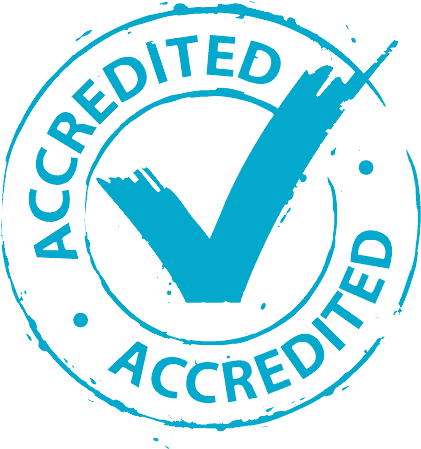 You will receive your test results within 4-6 weeks of your sample being received by our laboratory. There are 5 main characteristics that you will learn about after you receive your results. The first aspect of the test deals with the firmness, or lack thereof, of your skin. Your body naturally produces collagen. Collagen is what makes your skin firm, radiant and elastic-like. Collagen is constantly being destroyed and synthesised – a lifelong process which never stops. Our genes play a key role in how much collagen each of us produces and how much is destroyed. The balance is not always split equally and changes as we age. Some gene sequences are known to be responsible for a high rate of collagen loss. If you carry these sequences, you will need collagen-strengthening creams that are more effective than those found in average products. Wrinkling is another factor that is explored in our test. Wrinkles are formed by a natural, unavoidable process called glycation. The process of glycation adversely affects collagen and elastin – two very important skin components. Sugar levels in our system play an important role in glycation. Sugars can cause the synthesis of sugar proteins called A.G.Es (Advanced Glycation End Products) which cause inflammation and patchiness. More significantly, A.G.Es are detrimental to collagen causing it be less elastic (and less elasticity means more sagginess). 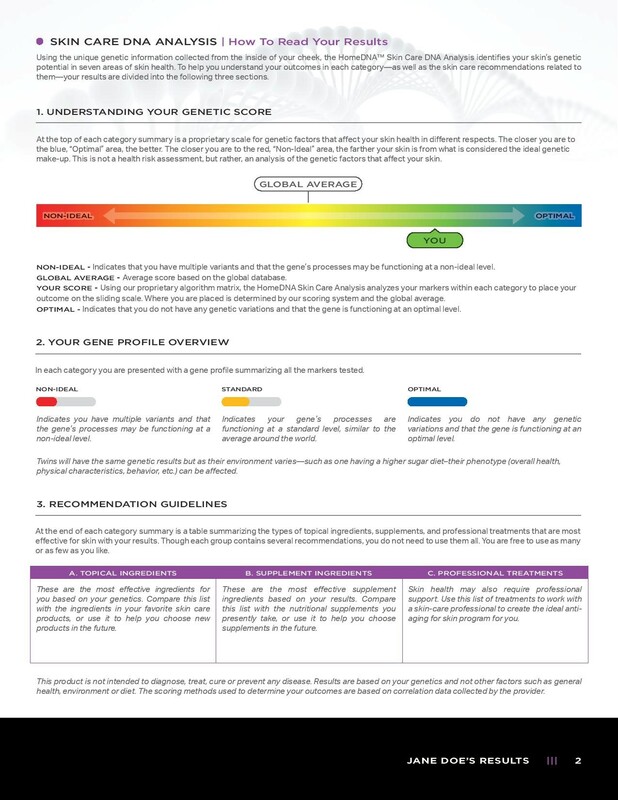 The Skin Care DNA test will check whether you carry key genes that prevent glycation in those who carry them and establish how able your body is to metabolise sugars. Discoloration often occurs when you are exposed to the sun if you have poor solar protection. The negative effects are due to the sun’s UV rays that inhibit the body’s production of collagen (in fact people who spend a lot of time in the sun or using tanning beds will probably age more quickly). The process of photoageing occurs in everyone but some people are at a higher genetic risk. 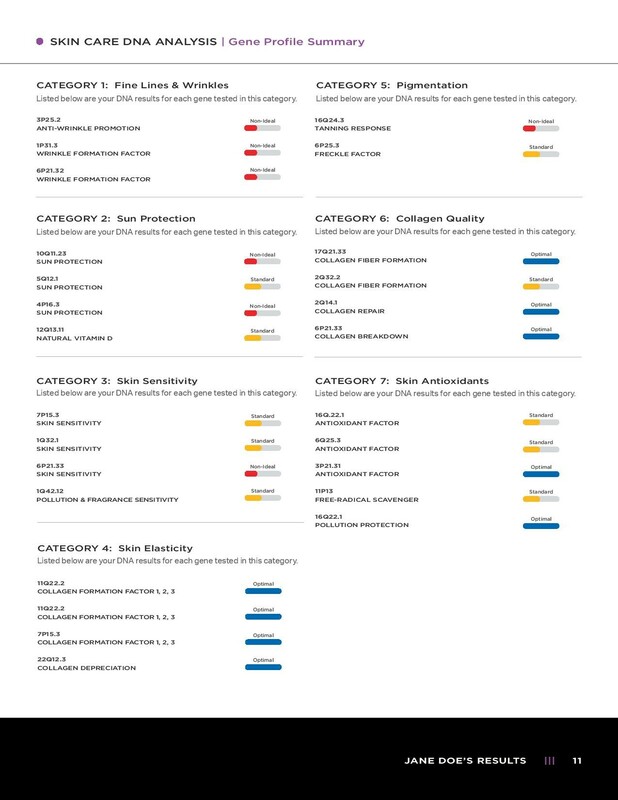 Genes will determine whether or not you have good, natural solar protection and just the extent to which you should be pro-active in protecting your skin. Free-radicals have become synonymous with “harmful” and “unhealthy” and a host of other such adjectives. But what exactly are free radicals? Free radicals are high reactive molecules that are so unstable that they will try and bond with other molecules to stabilize themselves. Free radicals are everywhere – the sun, pollution, cigarette smoke just to mention a few. Whilst we all know about foods, drinks and components in creams and products that help fight free radicals, we probably don’t know that your own genes could be your biggest weapon. Unfortunately, we may not all carry the right DNA, which means your arsenal of weapons will need to be enhanced with the use of the right creams and products. Inflammation is normal – it occurs for self-protection and is simply a biological response to something harmful. You might get a little itchy spot or a full-on face rash, either way, inflammation happens to everyone – perhaps when you sweat, when it’s very cold or very hot. Inflammation is healthy because it is your body’s natural reaction to the foreign substances which cause it. However, in some individuals, the production of anti-inflammatory molecules is too high which leads to skin ageing, red patches etc. 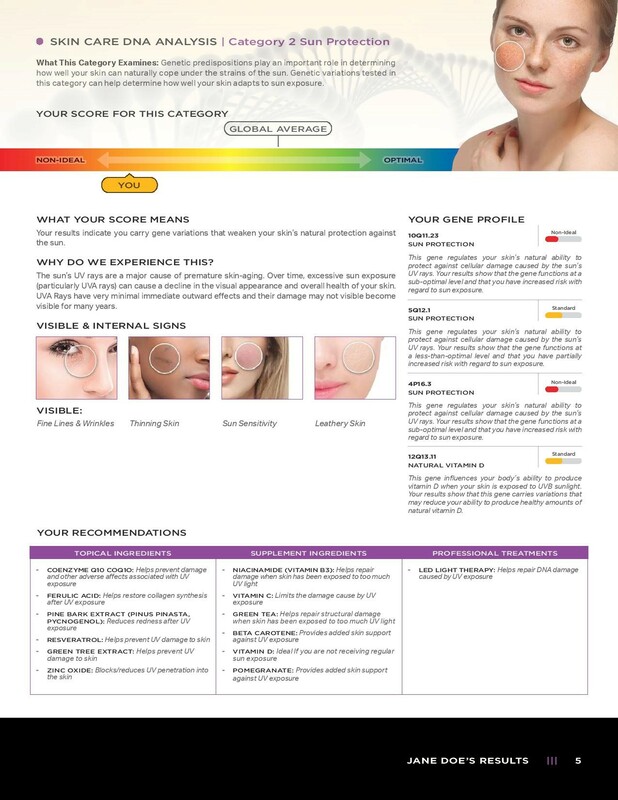 We can look deep into your genetics to see if you have a disposition to inflammation and skin sensitivity. 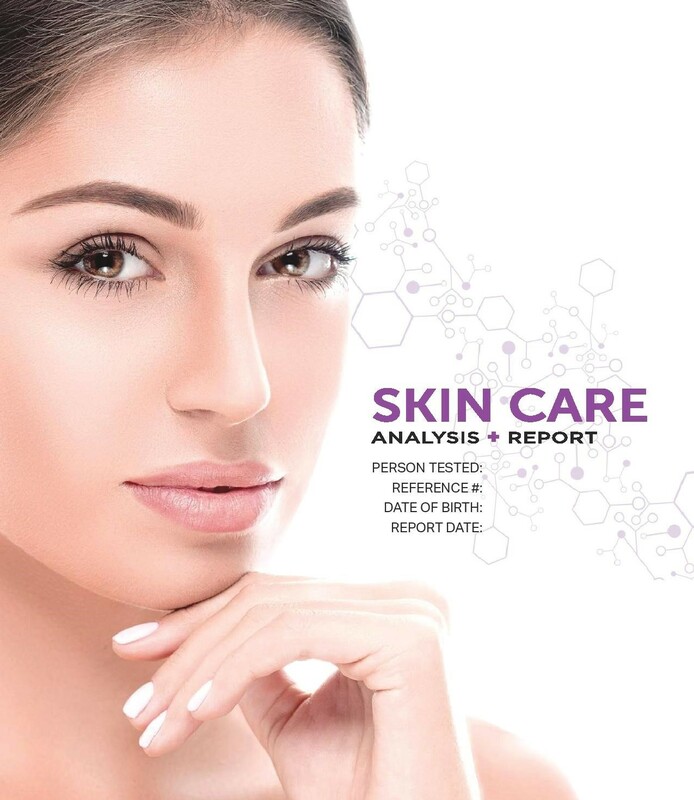 The Skin Care DNA Test is a powerful tool at your disposal to maximize the wellbeing of your skin, slowing down the ageing process and reducing your chances of pigmentation and free radical damage. You can optimise your skin care regime through a Skin Care DNA test – giving your skin the best ingredients and products possible. A skin DNA test can also help you avoid products which although seem to work well for your skin are not giving your skin the best results. Remember that the damage all starts below the surface of the skin you see in the mirror. We strongly suggest you work with a dermatologist to get the best possible advice. 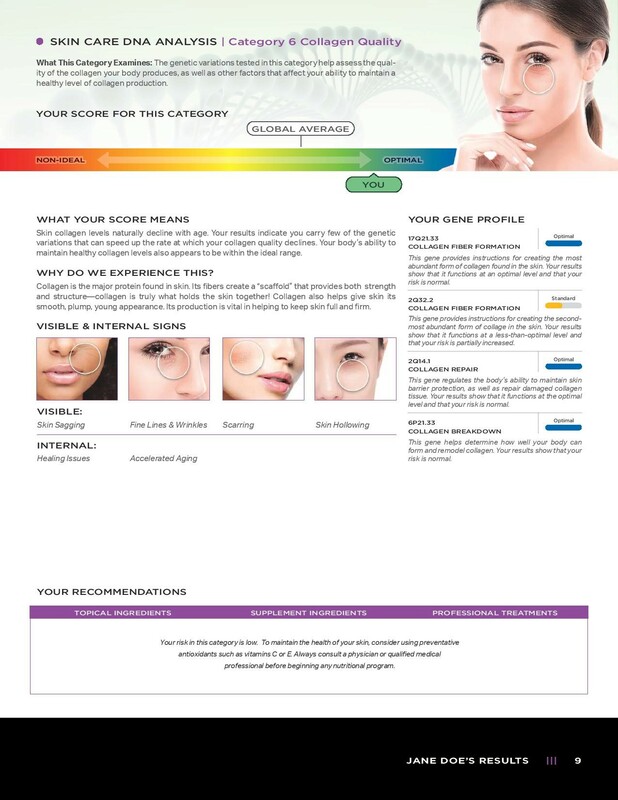 A lot of science goes into the Skin Care DNA Test and our results are best viewed under the supervision of an expert.